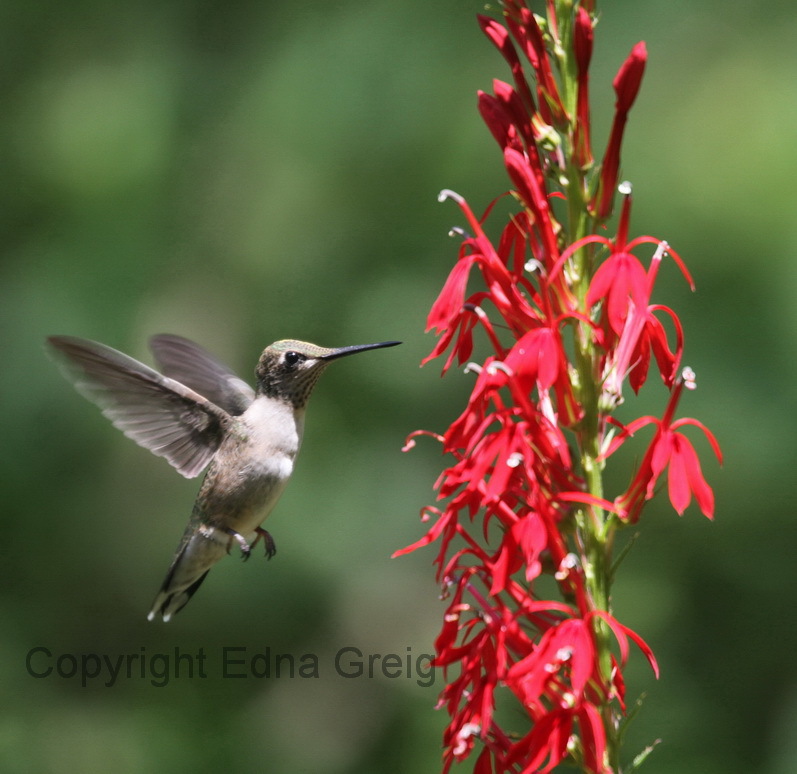 Fascinating to learn about wildflowers and their pollinators. 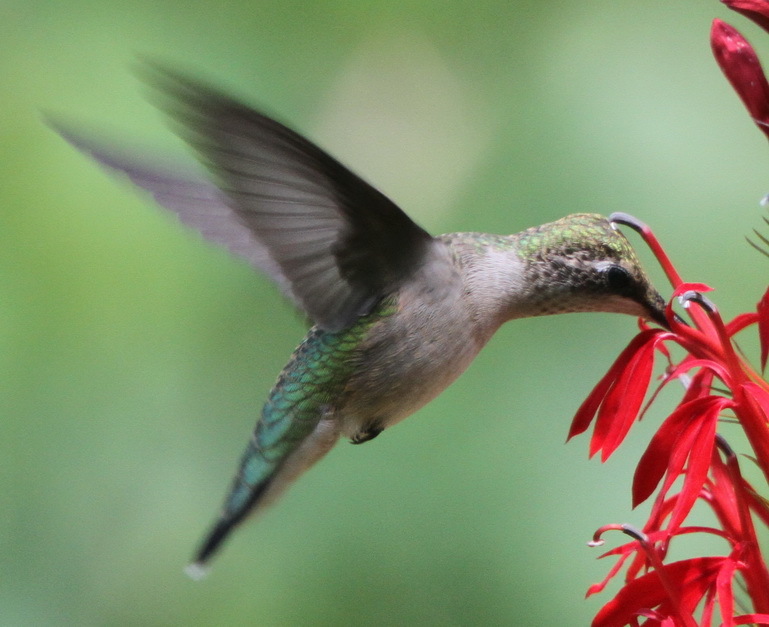 I never thought that much about birds assisting with pollination, but, clearly, hummingbirds can play an important role. Thanks for your comment, Jo Ann. Nice article. Lovely flowers, helpful too. 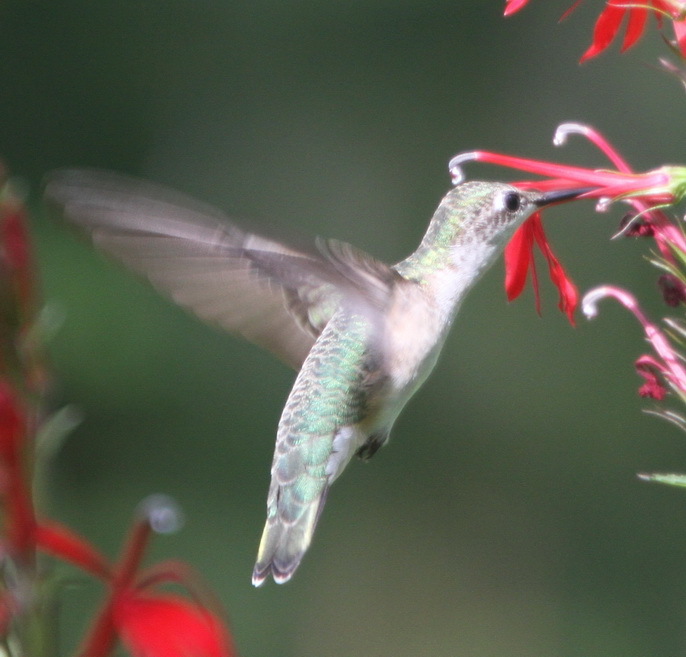 Great action photos of the hummingbirds fertilizing the plants! 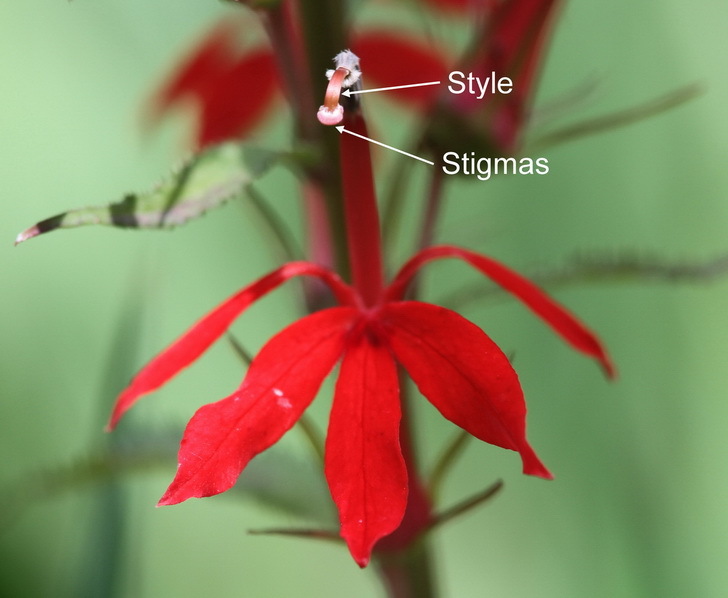 I had never realized that the same flower of some plant species can go from a male phase to a female phase… very interesting! 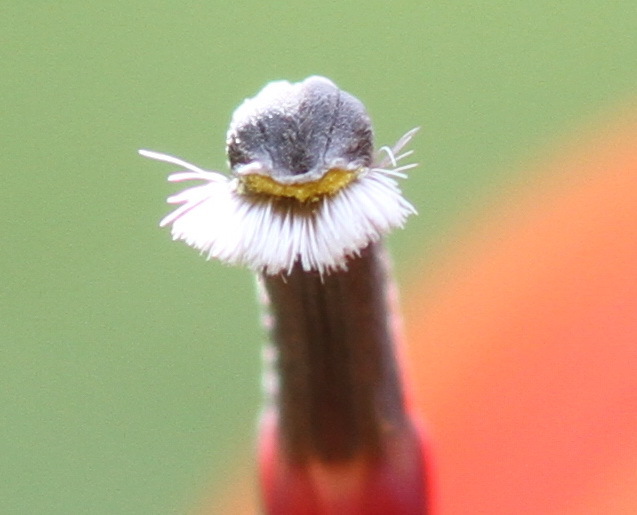 I’ve only seen this flower while hiking, and I was surprised to learn that you cultivate it in your yard. When I’ve seen it, it’s been in flood plains. Did you raise it from seed? Thanks for your comment. 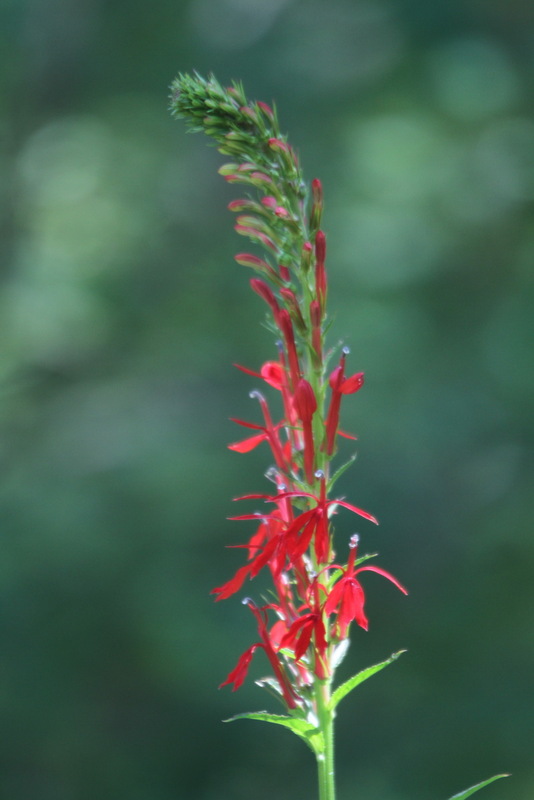 Yes, I raised my Cardinal Flowers from seed. It’s very easy-just sow seeds on the surface of seed starting mix and place in a warm, light area-I start my seeds indoors under fluorescent lights. If I recall correctly, they germinated in about a week or two. 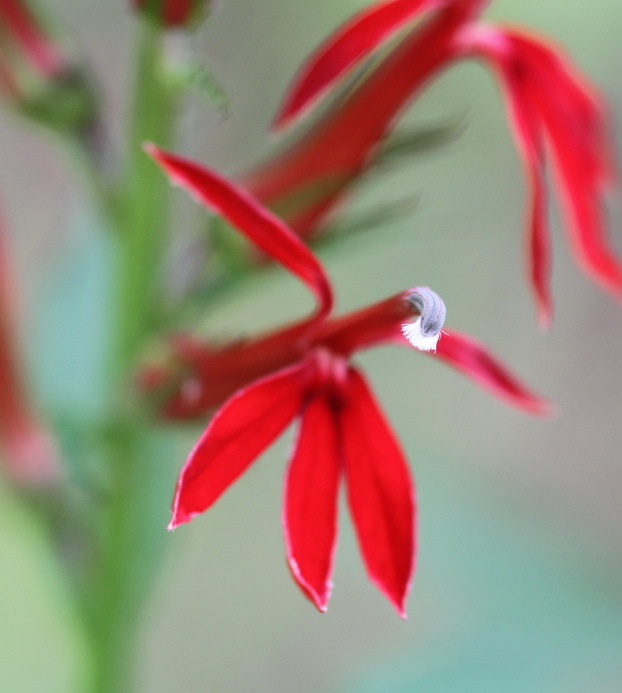 I’m pleased that these moisture-loving plants do well in my backyard. 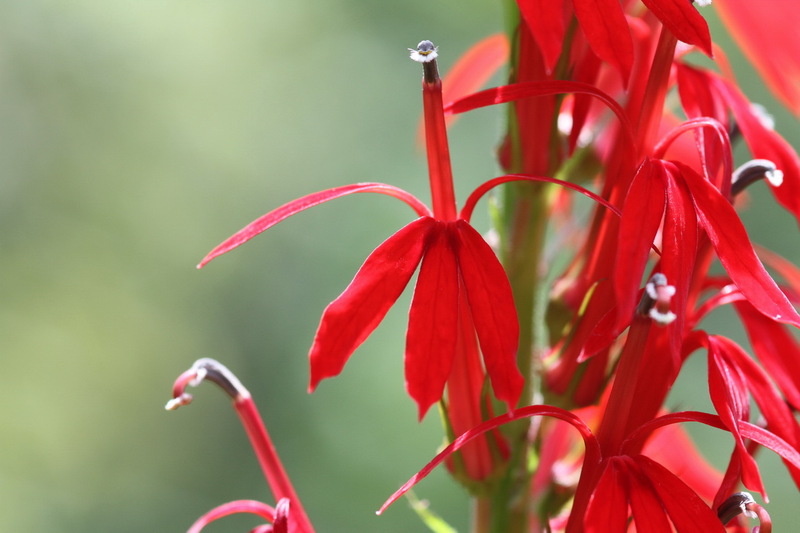 They’re in average, sometimes dryish, soil that gets about 5 hours of midday sun and little or no supplemental watering. I was just about to write a post on exactly this topic, with exactly the same photos you have here. Thanks for the great information! Thanks for your comment, Sue. I look forward to reading your posts.